Climate change has been described as the ultimate global collective action problem; emissions occurring everywhere accumulate to cause harm everywhere. As a result, the primary focus in the last thirty years has been on international legal and policy responses. The role of subnational government (including local government) and corporations has received less attention. However, this has changed significantly in the last decade. Networks such ICLEI: Local Governments for Sustainability, the World Mayors Council on Climate Change and the C 40 network aim to enhance collaboration among local government and deliver strategies and techniques for climate change action and reduced risks at city and local community levels. They also advocate for supportive national and international policies, law and finance. questions role of New Zealand local government in responding to climate change mitigation and adaptation. Can they contribute to the New Zealand’s social, economic and cultural transformation and if so how? Can they help their communities respond to climate change risks and if so, how? Taylor describes how the situation in New Zealand is currently out of step with progressive international and transnational developments. New Zealand local government and their communities face significant uncertainties about their roles. This is primarily due to central government’s failure to develop comprehensive national climate change policy and to co-ordinate and support local government roles. This policy failure is reprehensible given the urgency and magnitude of the problems and the involvement of central government in climate change policy since the early 1990’s. Prue Taylor teaches environmental and planning law at the Auckland University School of Architecture and Planning. 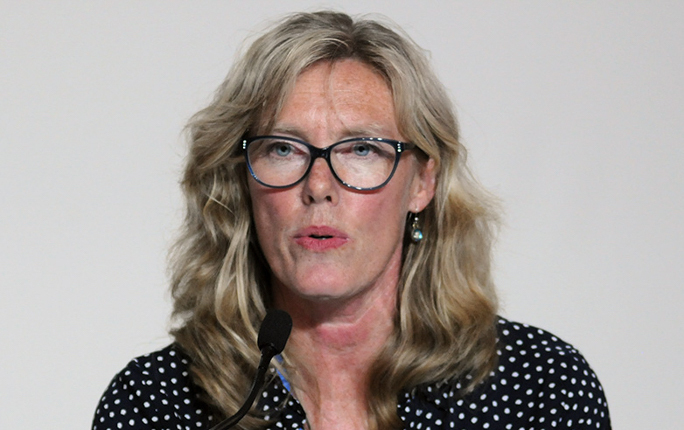 She is the Deputy Director of the New Zealand Centre for Environmental Law and an elected member of the IUCN Commission of Environmental Law and its Ethics Specialist Group. Prue’s specialist interests are in the areas of climate change, human rights, environmental governance, ocean law and policy, property rights and environmental ethics. 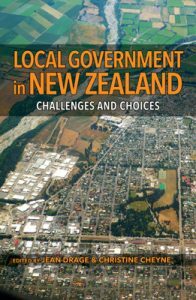 Local Government in New Zealand: Challenges and Choices, edited by Jean Drage & Christine Cheyne 2016, Dunmore Publishing, Auckland. Available now at this link. Outstanding landscapes: is the RMA protecting New Zealand’s heritage?